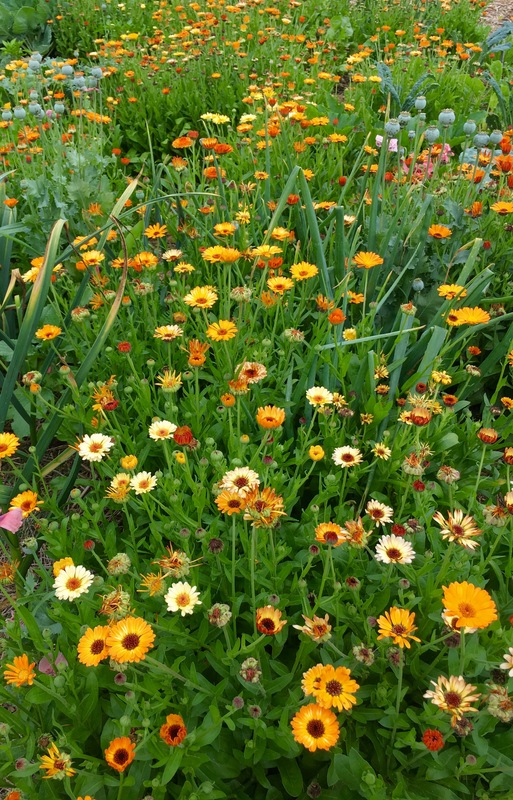 Flowers add so much to a vegetable garden. Besides, beauty, they attract pollinators and other helpful insects. Diversity triumphs once again. It’s been a slow, cold Spring but most of the beds in the garden have the beginnings of this season’s crops. 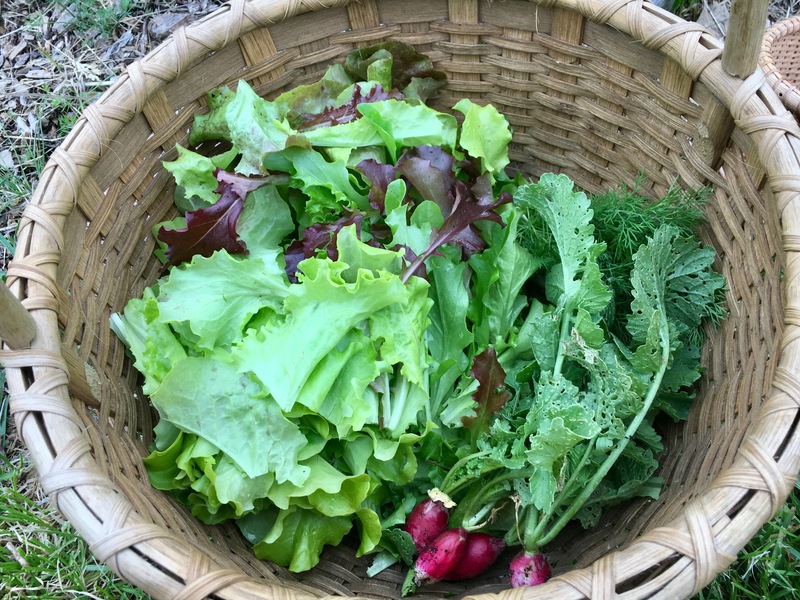 This morning I harvested my first lettuces, radishes, fresh dill, mint and lovage. 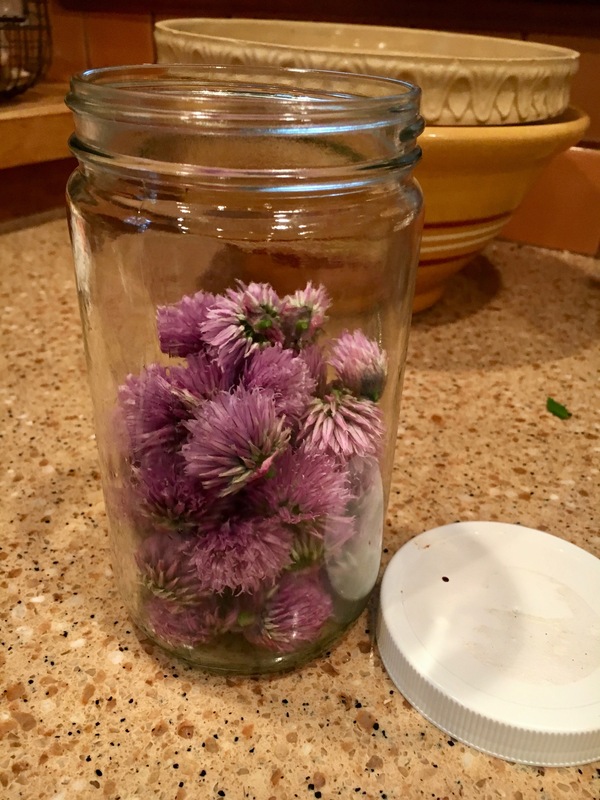 Chives are blossoming all over the garden and now is the time to make chive blossom vinegar. Harvest the blossom heads, wash and pat dry when you get them home. Pack blossoms in a glass jar and pour warm (not boiling) white vinegar over the blossoms. Put jar in a dark place to infuse for several weeks and then decant the vinegar and use within 6 months. 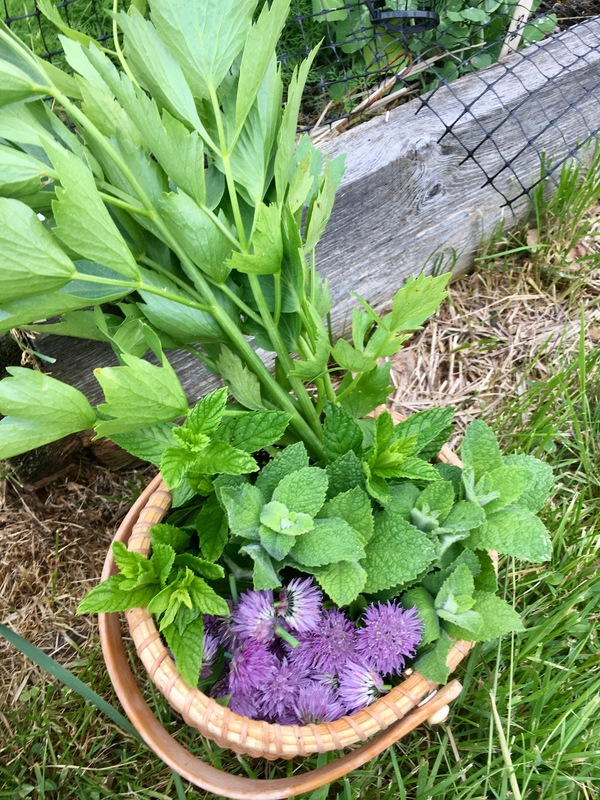 This makes a slightly lavender, lightly onion flavored vinegar. Enjoy! See you in the garden. If you are watering, PLEASE remember to turn off both the spray nozzle AND the faucet. We are using well water and need to conserve as much as possible. Every drip counts!! 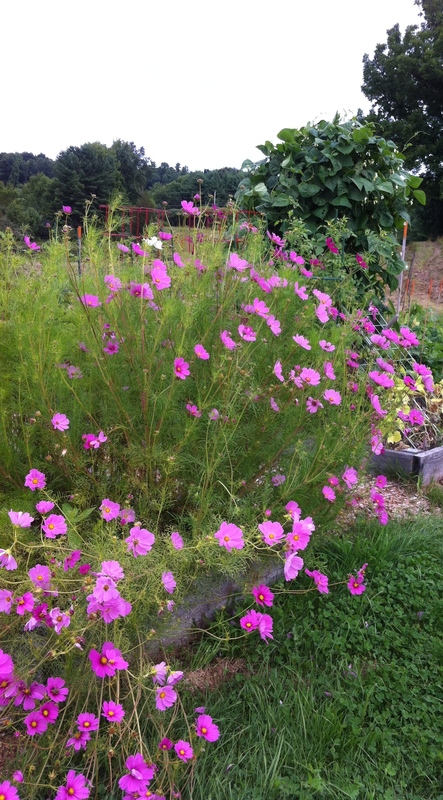 For years we’ve enjoyed Erika Hunter’s beautiful Cosmos in her bed at the top of the garden. I have seen so many people posing for photos in front of them. Now I discover how important that planting is for all the bees, both honey bees and native bees. Take a look at this article from Honey Bee Suite, an excellent website about all things bee. Thank you Erika! We look forward to your Cosmos again this season. Wait a minute–I thought it was December? Here’s a picture I took of one of the raised beds. When do you think this was taken–April, May, June? No it was taken yesterday, December 18th. 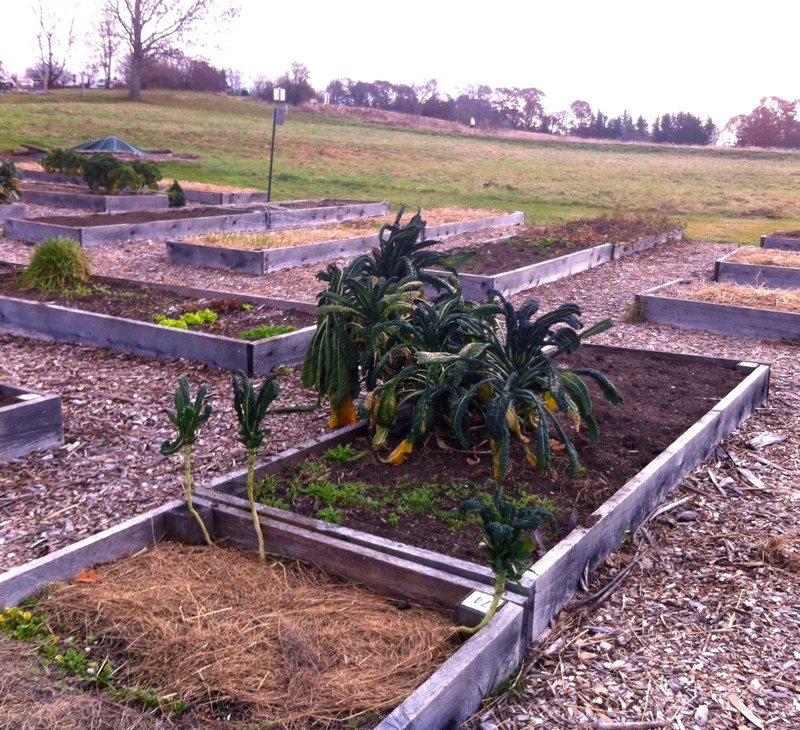 These vegetables were planted in late Fall and continue to grow, albeit, slowly. Maybe they will still be there, getting a head start this Spring. I pulled up my chard and threw the stumps back onto the garden to decompose and instead they have started to grow again. 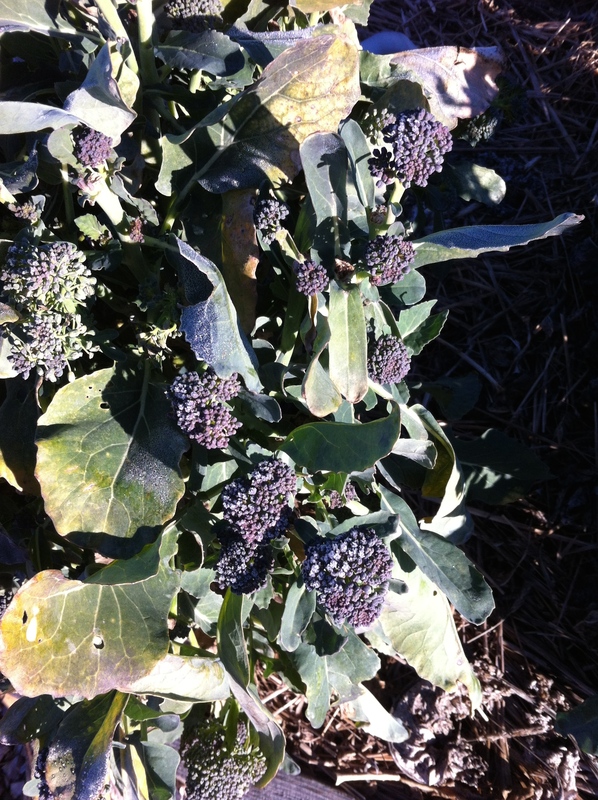 I will be able to harvest some chard next week. 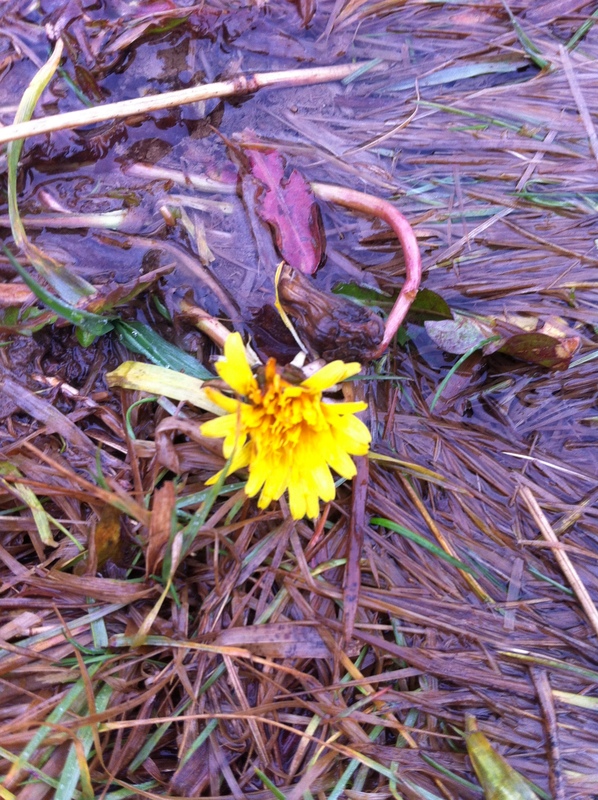 And, here’s a dandelion blooming out at Wagon Hill. If this continues, we may want to consider late season growing. If I had hoops in place I probably could’ve been harvesting non stop. But, then again, it’s nice to take a break ….to nurture my dreams. WHF CG-2 This aerial photo of the Wagon Hill Community Garden shows how neat and well managed the garden is. Even the Heritage Plots, always a bit disheveled, look organized at this distance. Up close the garden has a strangely tropical look with the kale plants pretending to be palm trees. 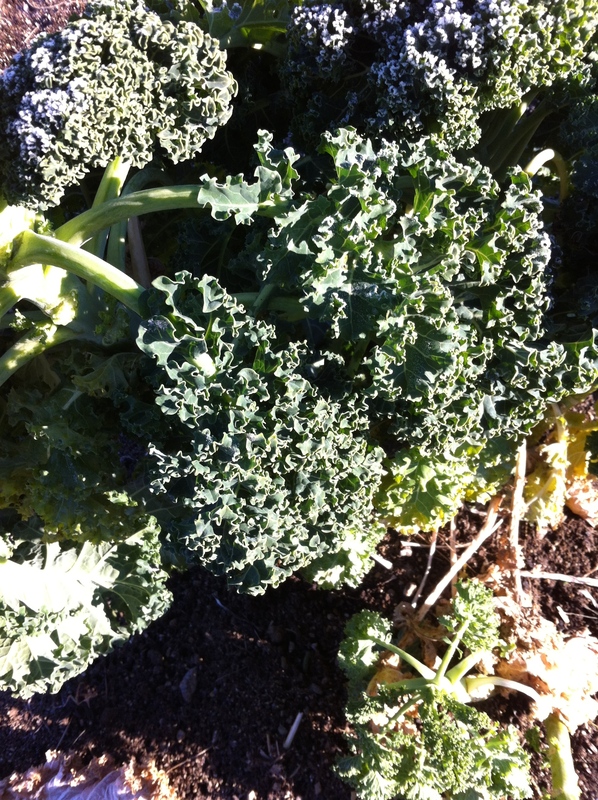 There is still food in the garden even at this late date: kale, broccoli, brussels sprouts, even a few herbs scattered here and there. 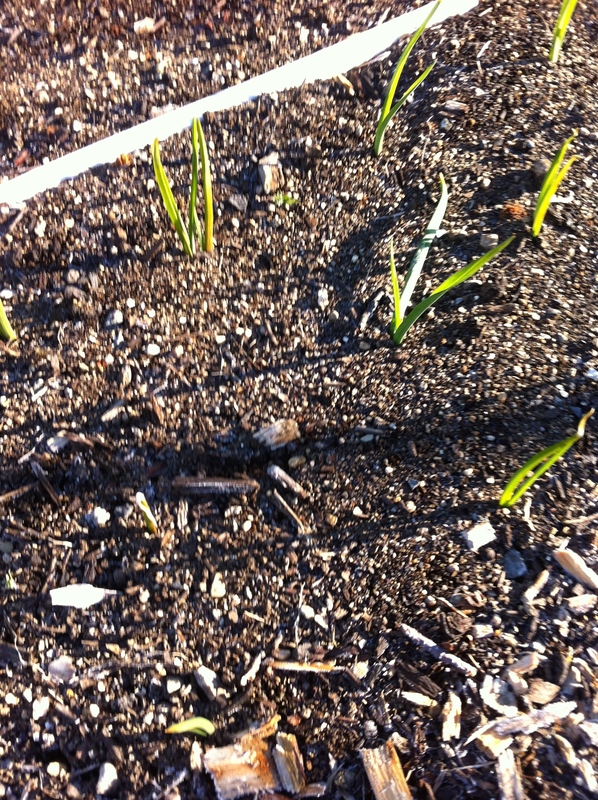 And, there are new shoots of garlic coming up, a reminder that underneath all that mulch and dark soil, spring is waiting. Avoid adding any plants that seem diseased. Bring a trash bag and bag those plants, take the bag home and dispose in your own trash. 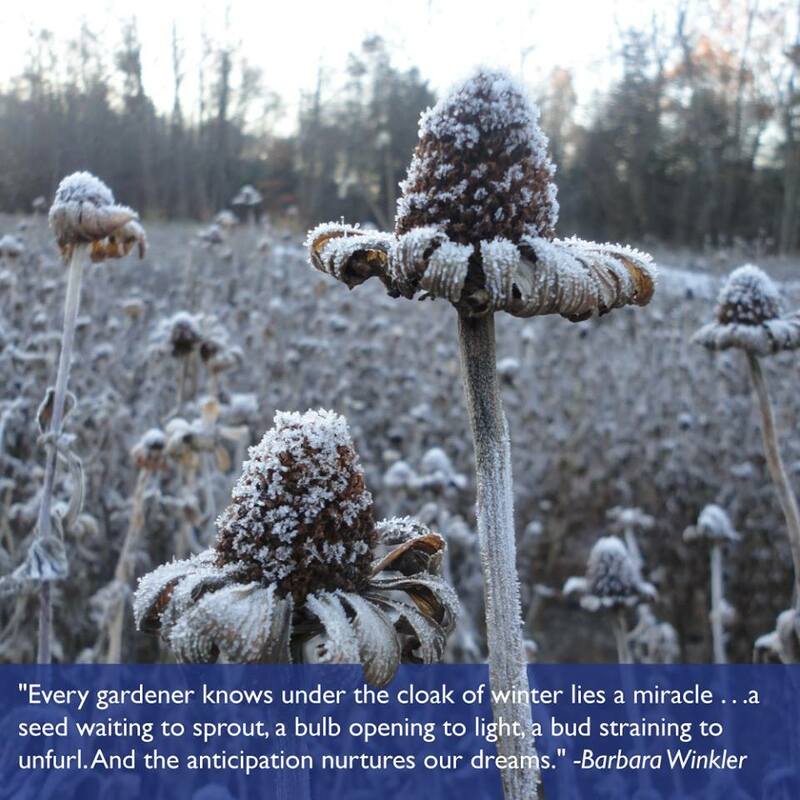 Try not to add plants or vegetables with seeds that will sprout next spring. These can be thrown into the fields. For example, all my tomato plants and damaged tomatoes went into the field, as did my marigold plants. I know that some of you have already put tomato plants and tomatoes into the compost but it’s a good idea not to continue to do that. Squash are also notorious for sprouting “volunteers”. 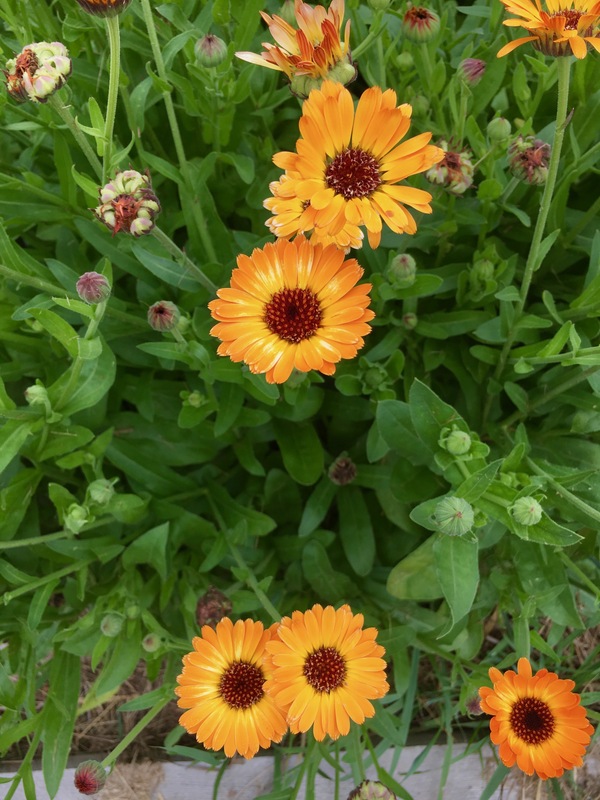 I find I am always sympathetic to these volunteers in the spring time (after all they have weathered the hard winter along with me) but generally regret letting them grow later in the season. 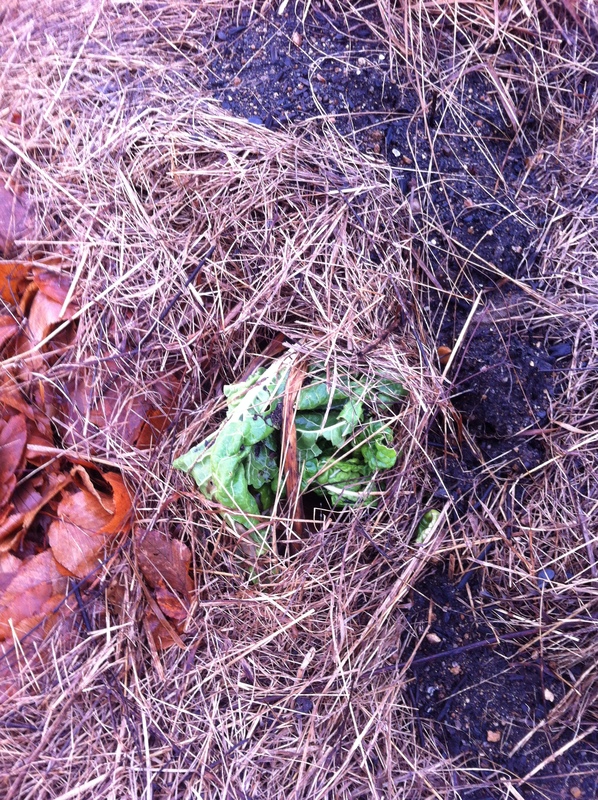 Chop up vines, stems, large leaves, in order to speed up decomposition. A sharp shovel blade or edger works well for this. 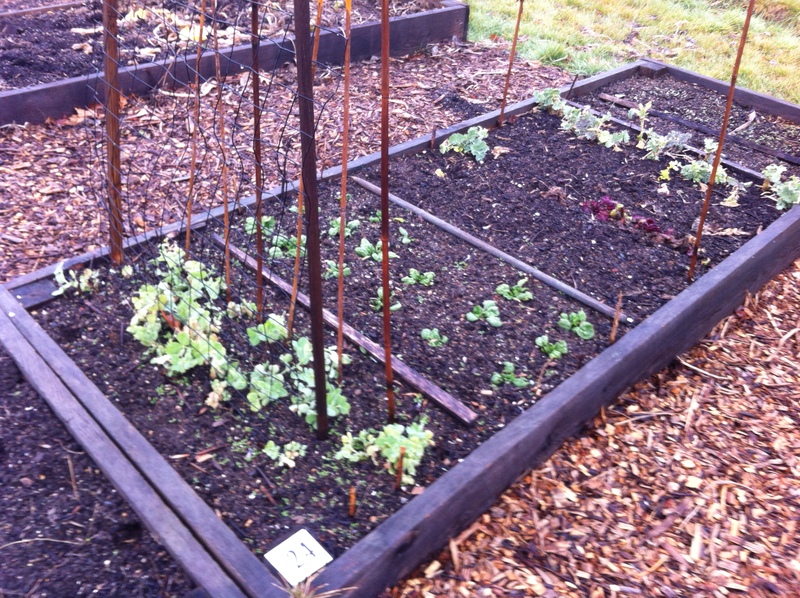 Cold weather crops can be left in the beds until November, but the rest of the bed should be cleaned out. 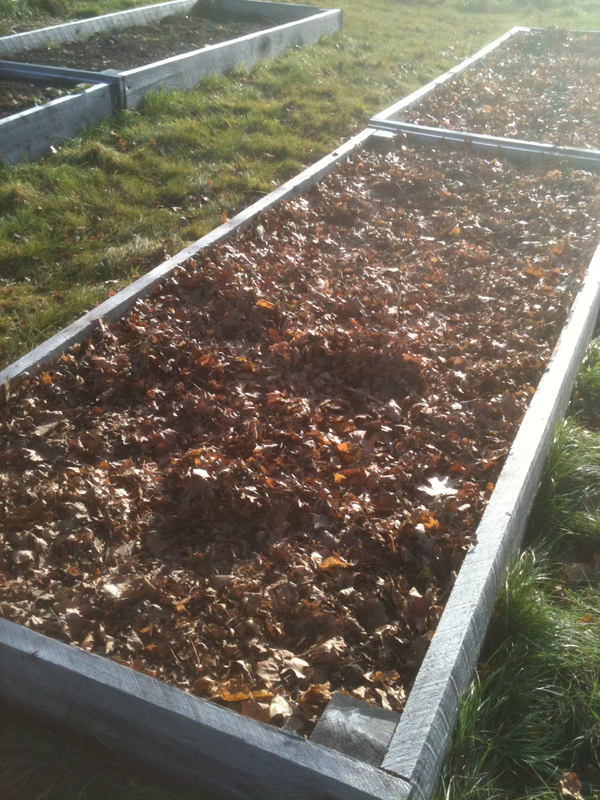 People who have in ground plots should also cover the soil with mulch to protect it. This is a good time to top off your beds and add manure since it will have time to “mellow” by spring. I bring the bedding from my chicken coop and add it at this time. Also you will want to cover your beds with leaves and/or straw. (Straw is available for your use at the garden). 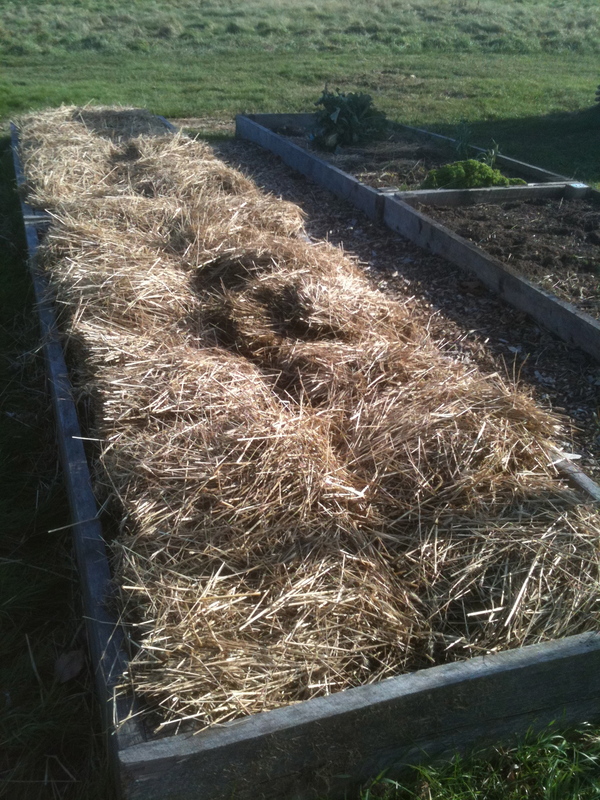 Some gardeners have found it helpful to lay stakes or tack string across their beds to keep the straw from blowing off. 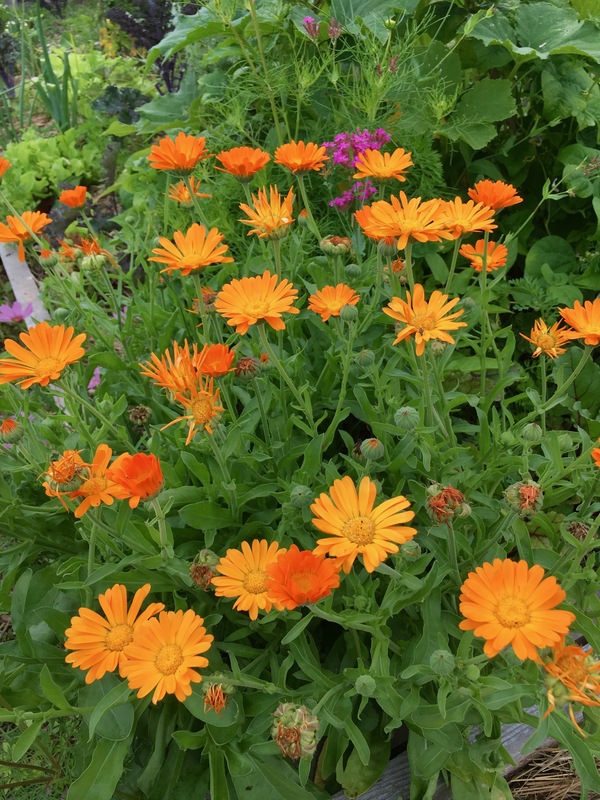 Thank you gardeners for another wonderful season at Wagon Hill Community Garden. 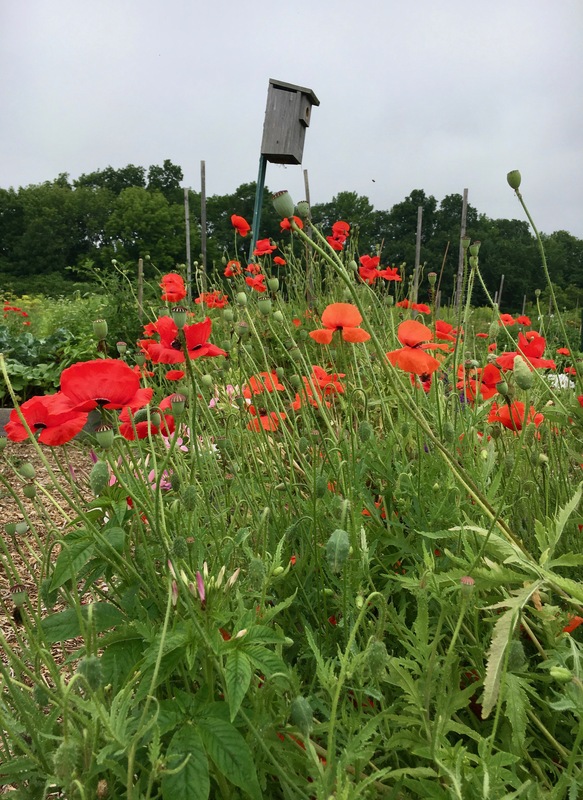 Because of you our garden is one of the most beautiful, productive and well maintained gardens in the region. We offer local residents access to garden space, striving to improve local food production, offer educational programs and promote community.